Parade kicks off at noon, Sunday, Nov. 19. It’s not quite Thanksgiving yet, but that doesn’t matter to the thousands of people who will line up Sunday along iconic Whittier Boulevard to take in all the thrills and excitement of the Annual East Los Angeles Christmas Parade. 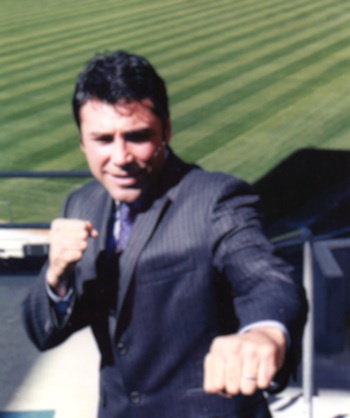 Joining the celebration from ABC7 are Co-anchor Ellen Leyva, Weathercaster Danny Romero and Reporter Coleen Sullivan; Mandril from Radio Centro 93.9 FM, J Cruz from Power 106, CeCe from 93.5 KDAY, Anthony Citric Campos, William Garza, Thee Midniters, Violeta Martin, Richard Yniguez, Thee Commons, Leyo and many others! And of course, what would a Christmas Parade be without an appearance by the jolly old man himself, Santa Claus. For 35 years, the storied East LA Christmas Parade was one of the largest and longest running Christmas parades that focused on the Latino community. Then, in 2009, to the dismay of the community –which we should point out included people from all over Los Angeles County and points beyond – financial woes and other issues shut the parade down for the next 6 years. 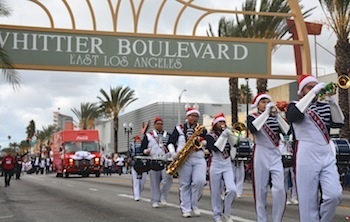 Not to be held down, in 2016 the East Los Angeles Christmas made a triumphant return thanks to the support of many local education, government, and business partners, according to organizers, who said 70,000 people took in the 2016 festivities. This year the parade promises to be even more spectacular, with dozens of talented local bands, drill teams, singers, folklorico dancers, lowriders, equestrian units, floats, and dignitaries joining celebrities for the trip down the historic Whittier Boulevard Shopping District, and on through the heart of East L.A.
ABC7 Co-anchor Ellen Leyva, Reporter Coleen Sullivan and Weathercaster Danny Romero will be among the celebrities taking part in the 2017 East LA Christmas Parade. For more information, visit the East Los Angeles Christmas Parade on Facebook. November 17, 2017 Copyright © 2012 Eastern Group Publications, Inc.